CBRE has announced the sale of multiple office buildings at 1120-1180 N. Town Center Drive. Charles Moore, CSM, and Marlene Fujita-Winkel , CCIM, of CBRE’s Las Vegas office represented the seller, The Canyons 1A, LLC and The Canyons 1B, LLC, in the $47,880,000 transaction encompassing 208,958 square feet. The buyer, CFT NV Developments, LLC, did not have representation. • CBRE has announced the sale of multiple office buildings at 1120-1180 N. Town Center Drive. Charles Moore, CSM, and Marlene Fujita-Winkel, CCIM, of CBRE’s Las Vegas office represented the seller, The Canyons 1A, LLC and The Canyons 1B, LLC, in the $47,880,000 transaction encompassing 208,958 square feet. The buyer, CFT NV Developments, LLC, did not have representation. The four buildings line Town Center Drive between Canyon Run Drive and Covington Cross Drive, with easy access to Summerlin Parkway and ample parking. According to Winkel, the new owner plans to occupy a portion of the space. • Marcus & Millichap has announced the sale of St. Rose Professional Office, a 12,080-square-foot office property in Henderson. The asset sold for $3,050,000 to an all-cash buyer who closed the deal in two weeks. Tina D. Taylor and Ryan McCullough, investment specialists in Marcus & Millichap’s Las Vegas office, had the exclusive listing to market the property on behalf of the seller, a limited liability company. St. Rose Professional Office is at 2875 Saint Rose Parkway, No. 10. • A sale to McBeath Holdings LLC & SunTech Air Center Ltd. The 31,000-square-foot office/warehouse property is at 6126 S. Sandhill Road. The transaction value was $2,800,000. Mike De Lew, SIOR, and Greg Pancirov, SIOR, of RealComm Advisors represented the buyer. 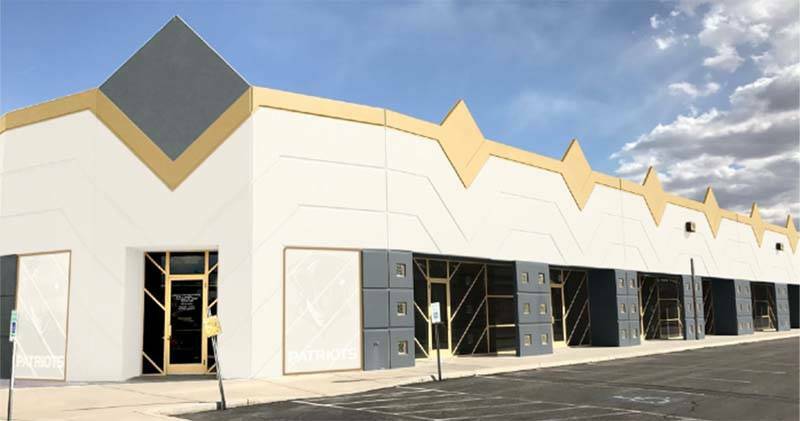 • Garrett Toft, SIOR, and Sean Zaher of CBRE Inc. represented the seller in the sale of a 6,916-square-foot industrial building at 1215 E. Colton Ave. to Vision Construction Inc. for $1,300,000. • A lease to Solcius LLC. The 6,000-square-foot industrial property is in Runway Park at 5977 McLeod Drive. Mike De Lew, SIOR, and Greg Pancirov, SIOR, of RealComm Advisors represented the landlord, SFC Leasing LP. A lease to Shelter Mutual Insurance Co. The 1,450-square-foot office property is in Horizon Ridge Professional Center at 2298 W. Horizon Ridge Parkway, Suite 209 in Henderson. Mike De Lew, SIOR, and Greg Pancirov, SIOR, of RealComm Advisors represented the tenant. • A lease to Shelter Mutual Insurance Co. The 630-square-foot office property is in Spanish Vista at 4955 S. Durango Drive, Suite 122. Mike De Lew, SIOR, and Greg Pancirov, SIOR, of RealComm Advisors represented the tenant. • A lease to Excision Music USA LLC. 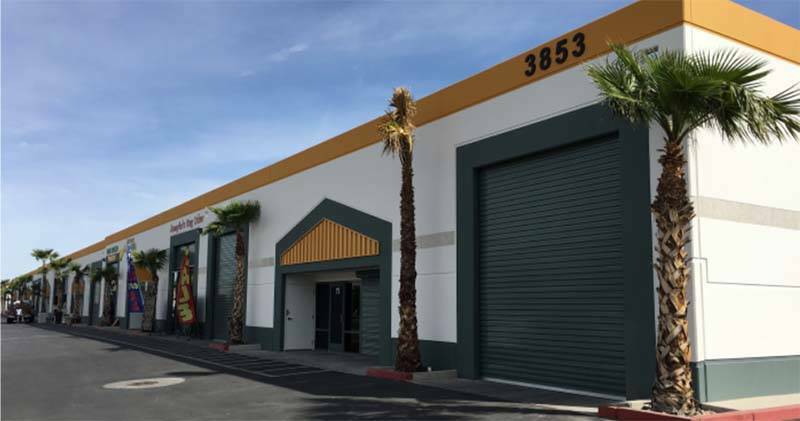 The 3,828-square-foot industrial property is in Petersen Industrial Center at 4535 Statz St., Suite I in North Las Vegas. Mike De Lew, SIOR, and Greg Pancirov, SIOR, of RealComm Advisors represented the landlord, DM Real Estate Holdings LLC. • A lease to The Block Shop LLC. The 2,457-square-foot industrial property is in the Craig Business Center at 3853 E. Craig Road, Suite 7 in North Las Vegas. Mike De Lew, SIOR, and Greg Pancirov, SIOR, of RealComm Advisors represented the landlord, Craig Business Center LLC. • A lease to Intraceuticals, LLC. 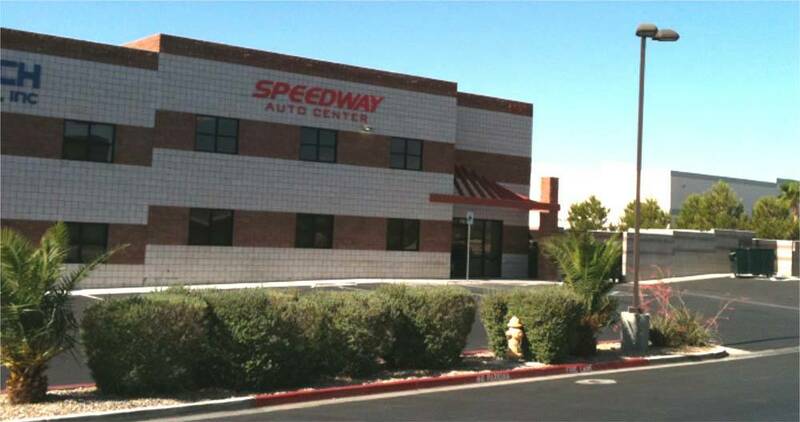 The ±12,308 square foot industrial property is located in Valley View Business Center at 6555 S. Valley View Boulevard, Suite 516 in Las Vegas. Mike De Lew, SIOR and Greg Pancirov, SIOR of RealComm Advisors represented the landlord, McBeath Holdings, LLC. • A lease to Kayla Wilson d/b/a Children’s Dance Studio. The 1,134-square-foot retail property is in the Maryland Eastern Center at 11041 S. Eastern Ave., Suite 104, in Henderson. Mike De Lew, SIOR, and Greg Pancirov, SIOR, of RealComm Advisors represented the landlord, Eastern Sunbridge Group LLC. • Boca Dental Inc., dba Boca Dental, leased 3,436 square feet of retail space at 4750 W. Sahara Ave., Ste 11-13, from Sahara 3D, LLC. Total consideration was $665,406. Managing Director Michael Zobrist and Executive Managing Director Nelson Tressler of Newmark Knight Frank represented the lessor in the transaction. Director Chris Beets of Newmark Knight Frank represented the lessee in the transaction. • The Hoffman Family Agency LLC, dba Allstate Insurance, leased 1,200 square feet of retail space at 6125 W. Tropicana Ave., Ste L, from Trop & Jones, LLC. Total consideration was $114,768. Managing Director Michael Zobrist, Executive Managing Director Nelson Tressler and Managing Director Eric Berggren of Newmark Knight Frank represented the lessor in the transaction. • Global Logistics and Distribution LLC leased an additional 10,311 square feet of industrial space in the Cheyenne Distribution Center at 2875 N. Lamb Blvd. Zac Zaher of CBRE represented the landlord. • RR West Coast LLC leased 15,142 square feet of industrial space in Harmon Warehouse Center at 4301 S. Valley View Blvd. Zac Zaher of CBRE represented the landlord.